The German team have started work in the main forum of the city. Axel, Alex, Katrin, Lena and Gunnar are the initial part of a team of 20. They constructed a sunroof in order to do surface archaeology of the main Forum’s slab-areas. 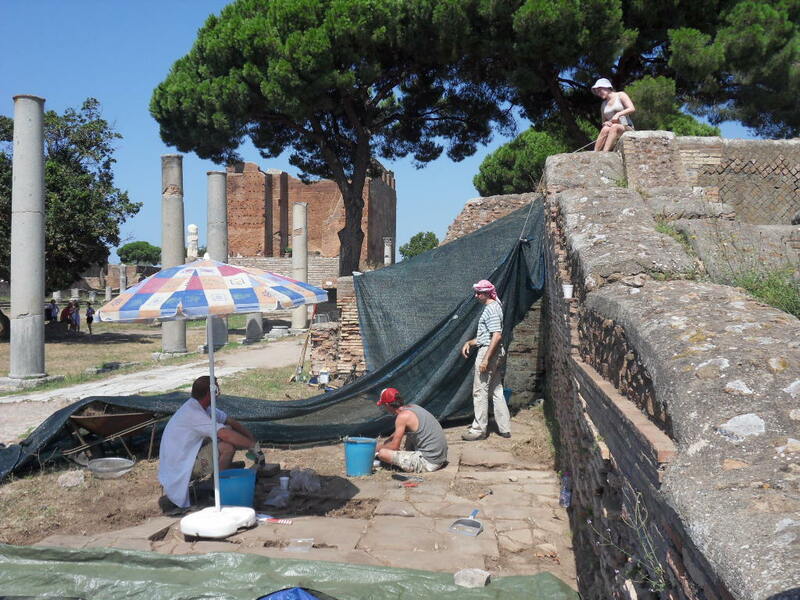 Thanks to five days of work half of the Forum-portico is archeologically cleaned already. Fortunately, excavators from the 1920’s until today had forgotten this part, though once the most important meeting point of the ancient city. 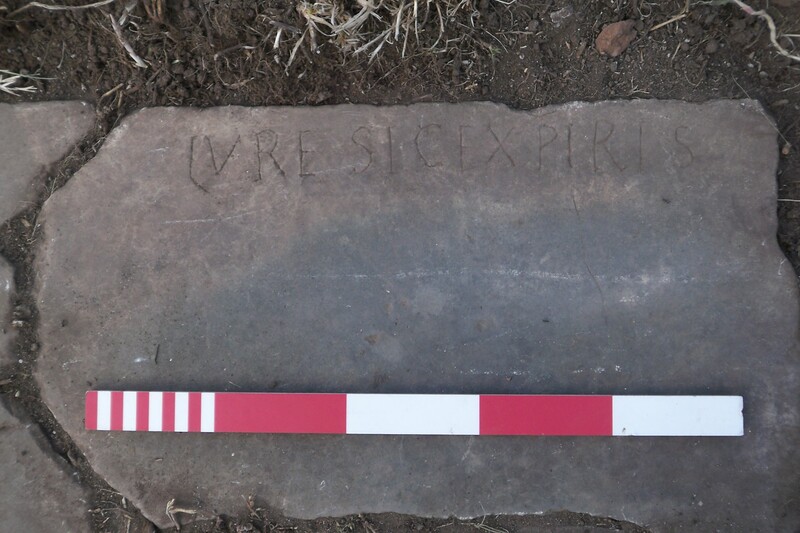 The slab surface shows traces of market stalls, wooden beams and late antique inscriptions, discovered by Gunnar and Lena . 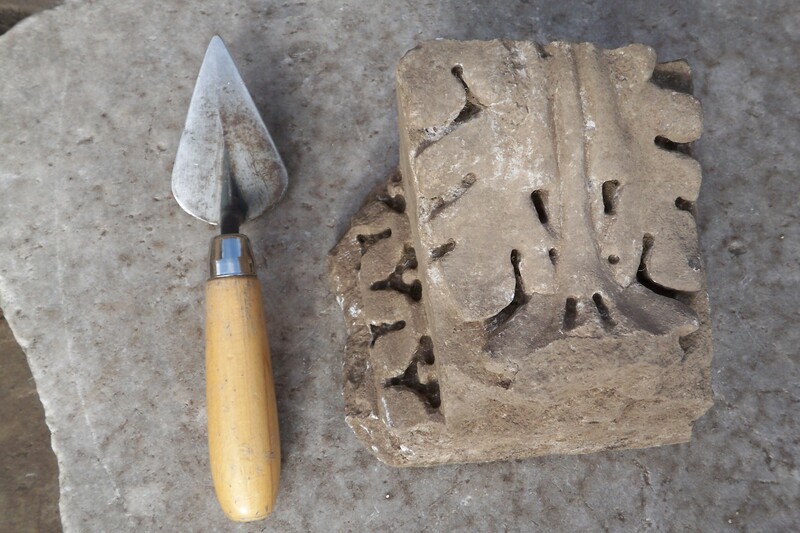 By cleaning the slabs Katrin found architectural ornaments yesterday that were part of a public monument which once adorned the main Forum. It was obviously demolished in order to create the late floor of the portico which lays above the cisterns. After discovering a surprising amount of pieces of the same style, we will be reconstructing it as a whole – when the laser scan-experts arrive they will measure these parts and than reconstruct it virtually on computer. 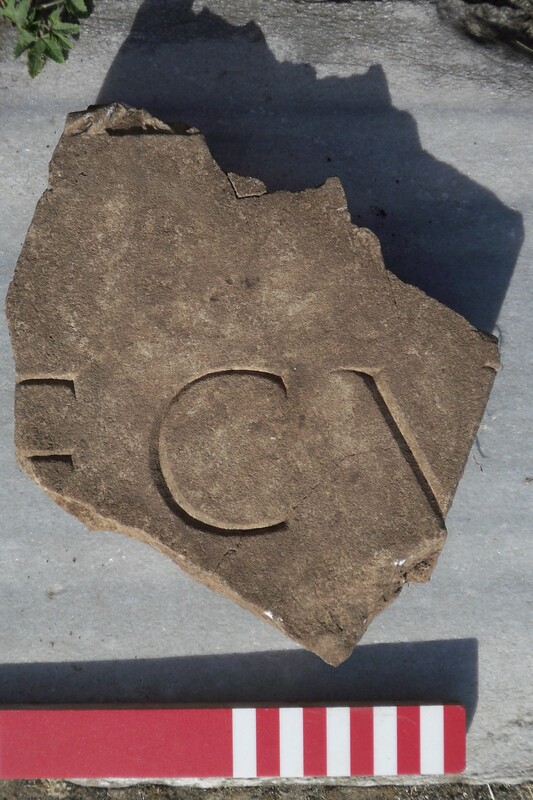 Yesterday Axel and Alex also found parts of a monumental inscription which is part of an equally monumental puzzle. Today Katrin found a coin underneath the slabs which provides the most important dating evidence thus far, suggesting that our area was constructed in the later fourth century AD. It was once completely covered with marble and adorned with statues: at least one base and some wall decoration remain. Finally, By observing a series of postholes we can reconstruct late antique market-usage of that area.